Pomme d’Or Bath Bombs just got cuter! 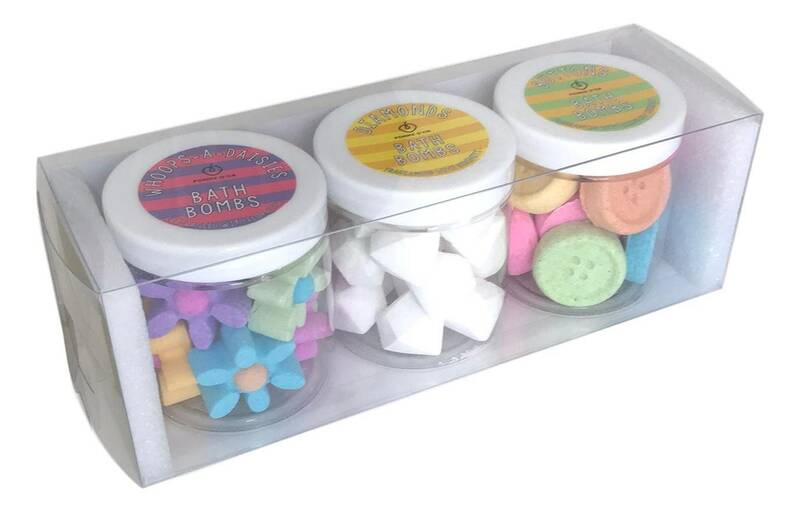 All your favourite little Pomme d’Or bath bombs available as a set of three x mini tubs, presented in a clear box. 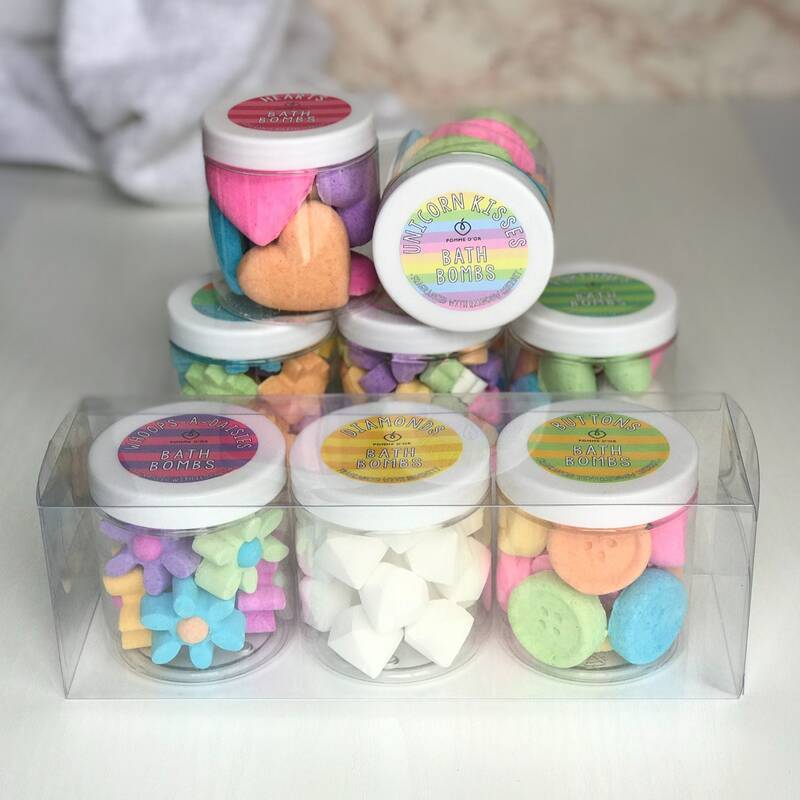 Each tub is big enough for a couple of bath times giving you an opportunity to try out the different styles and fragrances in mini amounts. 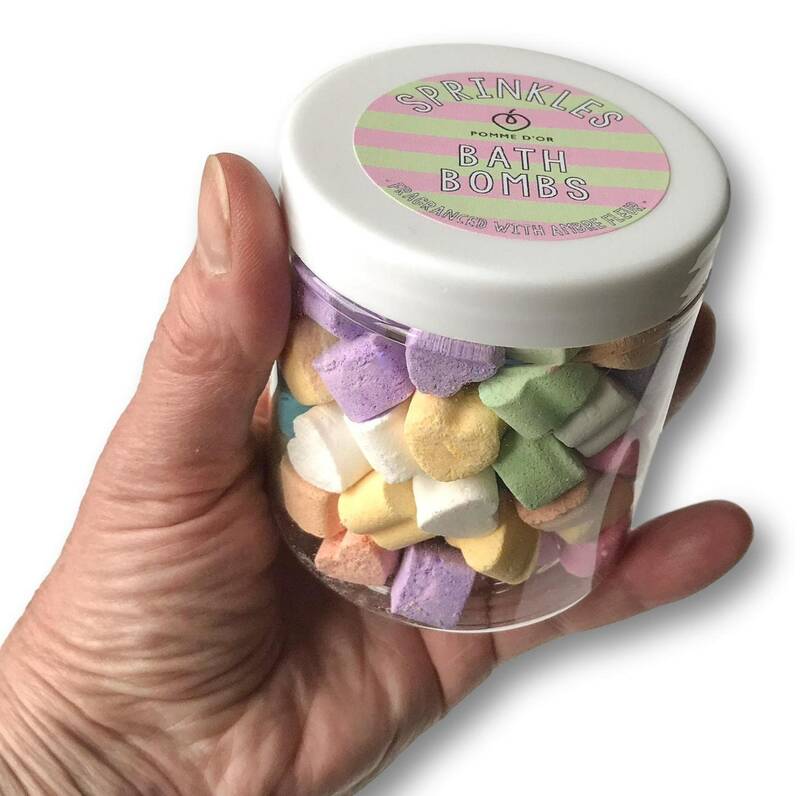 Imagine how pretty these will look on your bathroom shelf but also remember the skin-friendly allergen-free fragranced bath bombs will add fun and fragrance to your bath time too. Which 3 will you choose? Decisions, decisions, decisions. Select 3 from the following styles and message me your choice when placing the order. 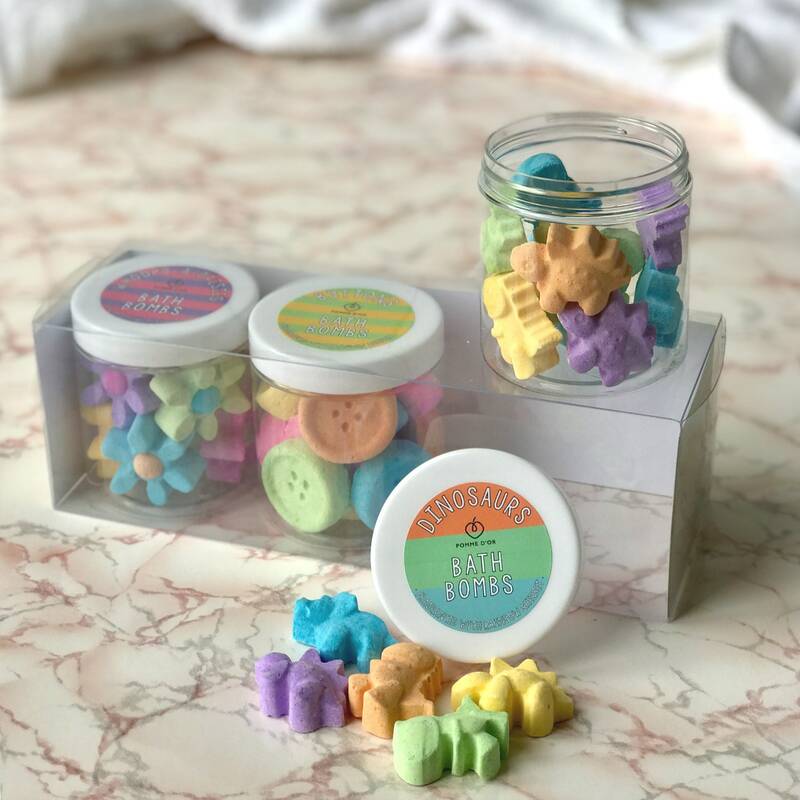 Example: I would like Buttons, Dinosaurs and Unicorn Kisses please. - Not tested on animal and vegan-friendly. Container: 3 x clear PET plastic tubs with white screw-top lids. Fragrances (All fragrances are EU approved and classed as 100% ALLERGEN-FREE which are not likely to cause adverse skin reactions, i.e. they do not contain any of the 26 potential allergens as outlined in EU directives). Floralise is a soft, powdery floral fragrance where sweet mandarin top notes rest upon a floral heart of blue lilac and jasmine, gently supported by a base of patchouli. Serenity is a fragrance with flowery notes of exotic Jasmine and Iris, warmed with sweet vanilla on a bed of intense and sensual white musk and amber. Ambre Fleur is a fresh and uplifting fusion of bergamot and orange blossom with delicate cottony florals on a base of precious powdery musks. Rainbow Sherbet is the aroma of rich, ripe cherries with a mouth watering hint of fresh lime, raspberry and pineapple sweetened with vanilla. These are brilliant little stocking fillers, I love that they are great for sensitive skin! The bath bombs are fantastic. A Christmas gift for a young lady who loves dinosaurs. They are larger than they appear in the pictures too which was a great bonus!